It came so quickly. 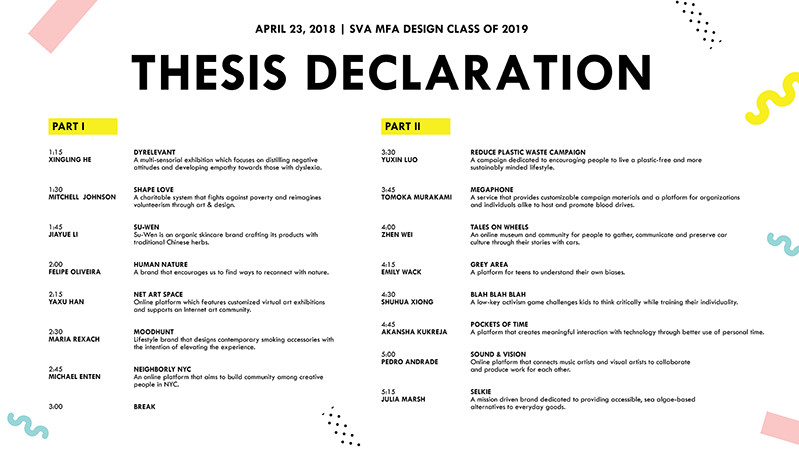 On the heels of Venture 18 Forum and the finale of the two years for the Class of 2018, March 23 marked the official declaration day for the Class of 2019. Behind closed doors members of the class presented their nascent ventures to large jury of faculty and alumni. The group above include (from left top): Kevin Brainard (faculty), Willy Wong (faculty), Sabri Akin (MFAD 2016), Josh Hester (MFAD 2008), Amy Wang (Faculty/MFAD 2006), Bobby Martin (Faculty/MFAD 2003). 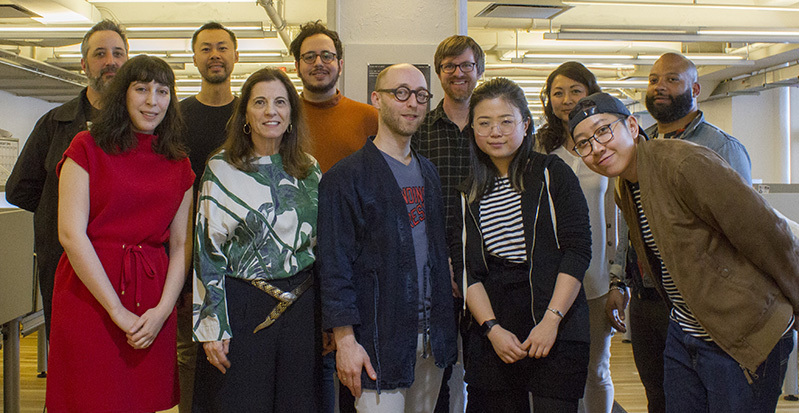 (Bottom from left) Sasha Prood (MFAD 2015), Lita Talarico (co-chair), Marc Rabinowitz (Faculty/MFAD 2008) Yiming Bao (MFAD 2014) and Sumana Amatayaskul (MFAD 2017). And see the Venture concepts on the second slide. Classes ended on May 30. Good luck to the next Venture makers.